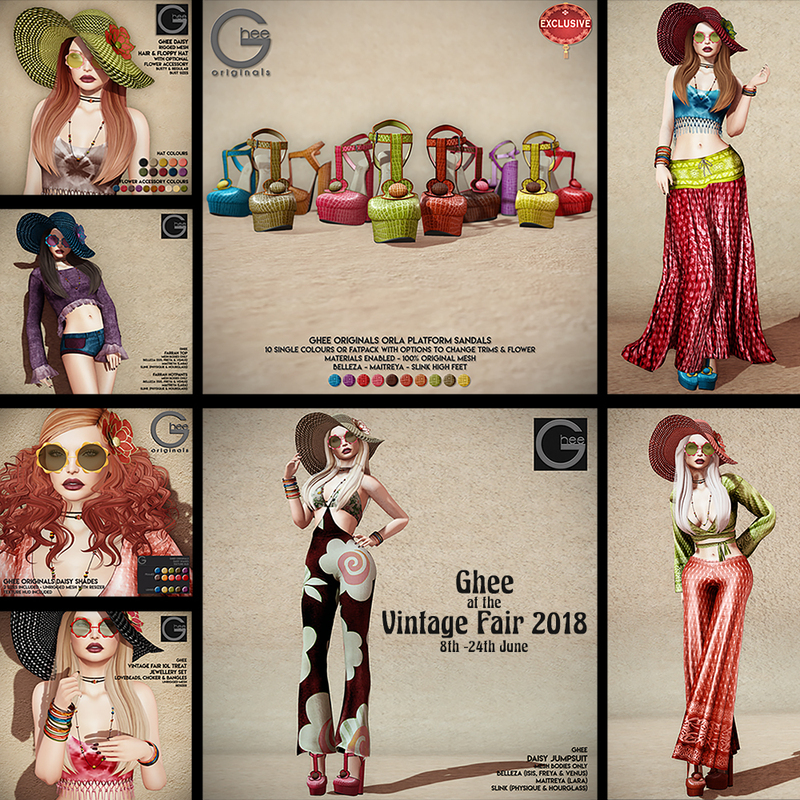 Ghee gets into a Seventies vibe at the Vintage Fair from 8th to 24th June, with a capsule collection inspired by iconic British fashion store Biba. Dressing you from top to toe the Ghee's collection includes gorgeous 100% original mesh platform sandals, long hair with a floppy hat, original mesh daisy framed sunglasses, a delightful print jumpsuit, and a selection of mix and match separates in repurposed silks, velvets and tie dye. 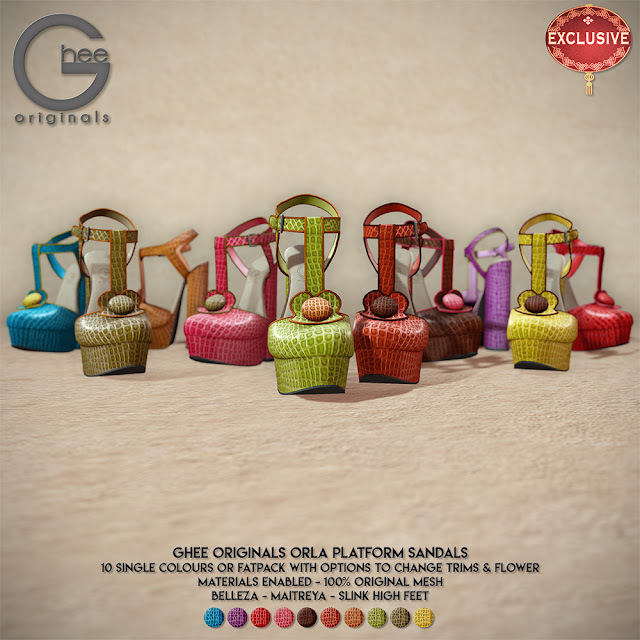 The collection uses a rich earthy palette of Seventies colours like avocado, cerulean, cocoa and sienna, and there's a special treat offer - a jewellery set of lovelbeads, choker and bangles for just 10L in the same yummy colours. Grab this ride to The Vintage Fair today! 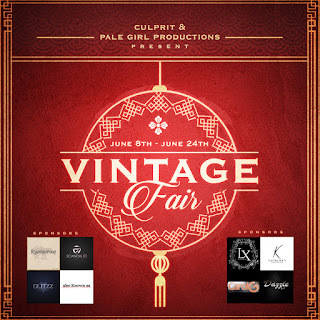 With over 150 designers over 2 sims featuring exclusive vintage inspired exclusive creations, the Vintage Fair is not to be missed - click on the poster below to see the shopping guide for the event. 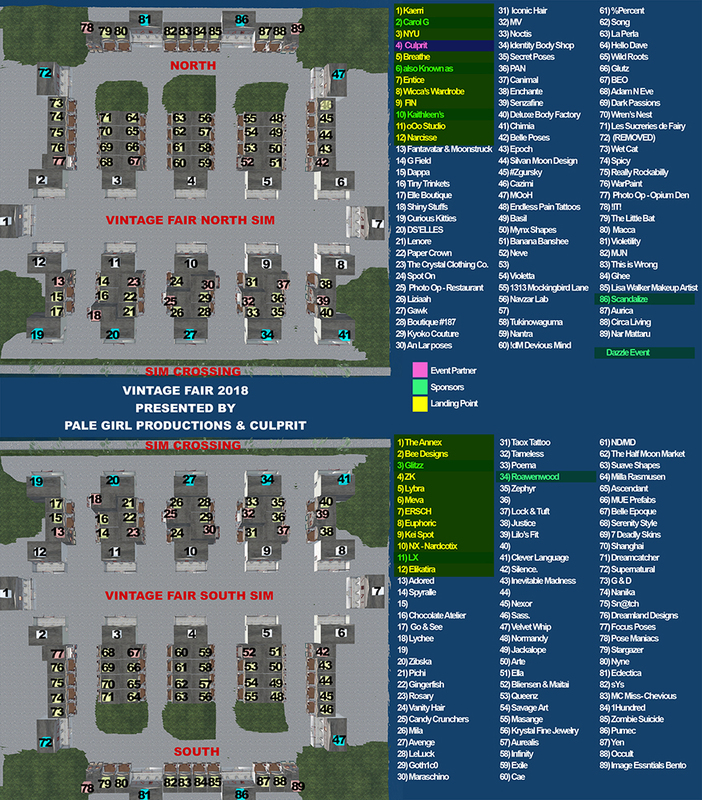 And because we know how are it can be to navigate your way around a massive event like this - here's a map to help you find your way around. You will find Ghee on the North edge of the North Sim! 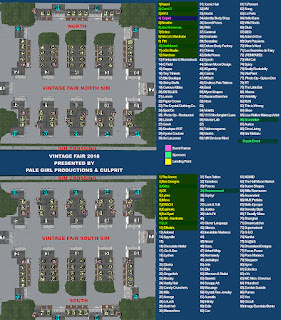 (click on the map to see it enlarged).